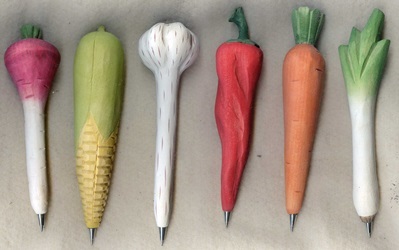 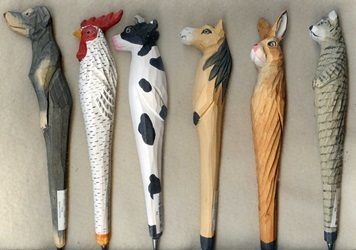 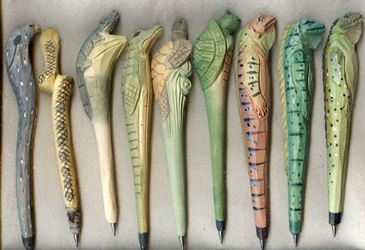 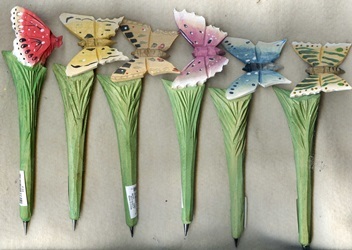 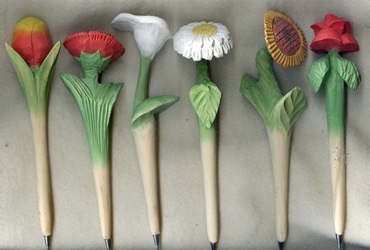 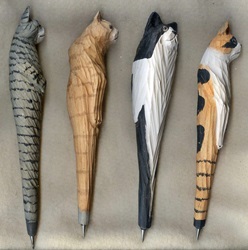 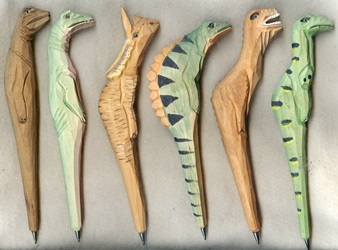 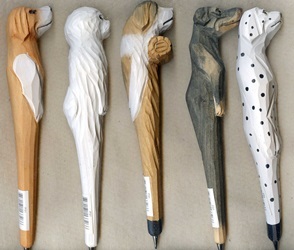 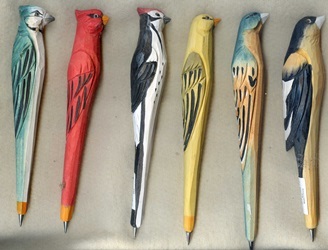 Hand carved and hand painted in China, these are sculptures that you would enjoy even if they were not pens. 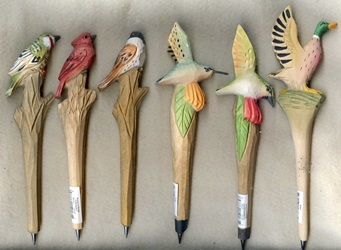 They can be refilled by pulling the metal flange and ink tube out of a Bic® with needle nosed pliers. 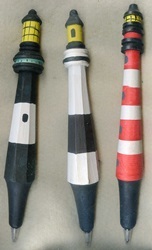 Use the old tube to measure and cut it down as the hole bored in the wood is shorter. 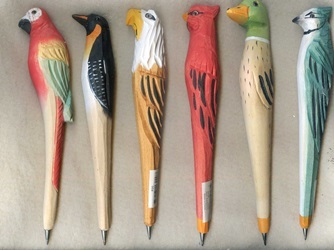 Many pens have matching pencil sharpeners. 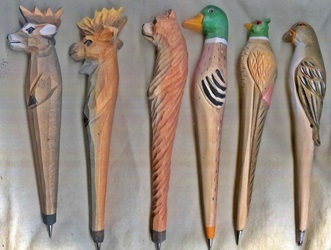 Since they are handcarved no two are exactly alike. 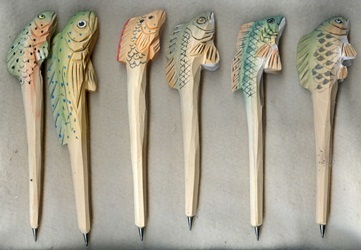 All images are the the same scale and pens are around 7". 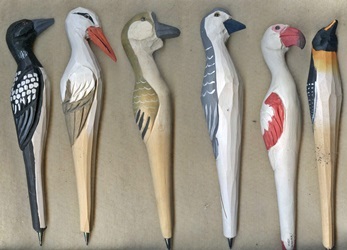 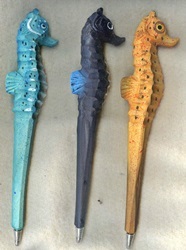 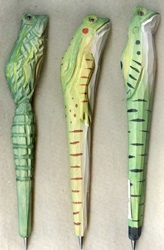 For more CARVED BALSA see the Pencil Sharpeners, Animal Head Magnets and Bottle Opener Magnets. 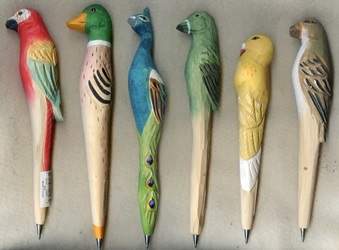 Single pens can be shipped as first class parcel for $4.00 (International Air Post for $7.00).